The ideal spin fishing tackle for flats fishing is always going to come down to personal preference. You need to find a rod and reel combination that feels comfortable and suits your casting style as you will make a lot of casts in a two hour flats session. However, having said that, a safe starting outfit would be a 2.1 metre (7′) soft bait rod, rated 6 – 10 kilogram, paired with an excellent quality 3000 or 4000 series spinning reel. Spool the reel with 7 kilogram braid, attach a 1.5 metre long trace of 7 kilogram monofilament or fluorocarbon and you are good to go. Given that you may already own a soft bait set like this in your arsenal, it is a relatively low risk starting option. My preference is actually for a longer rod of 2.4 – 2.7 metres, preferably cork handled with a large fore grip as I’ve got big hands and long levers. This allows me to cast further, mend line easier when using soft baits and gain more leverage when fighting larger fish. Cork is three times more sensitive than EVA foam and sensitivity is critical when fishing soft plastics. Simple swelled blank fore grips have even more sensitivity than cork. To fish soft plastics effectively it is necessary to have a rod with a fairly stiff action, ideally one that has a working curve of at least 1 kilogram. With soft plastics, it is important to have some rigidity in the rod tip to help with setting the hook on the strike. If you are going to fish hard bodied lures extensively then a rod that is slightly softer in the tip is best. Rods with a working curve of less than 1 kilogram seem to work better with hard bodied lures. 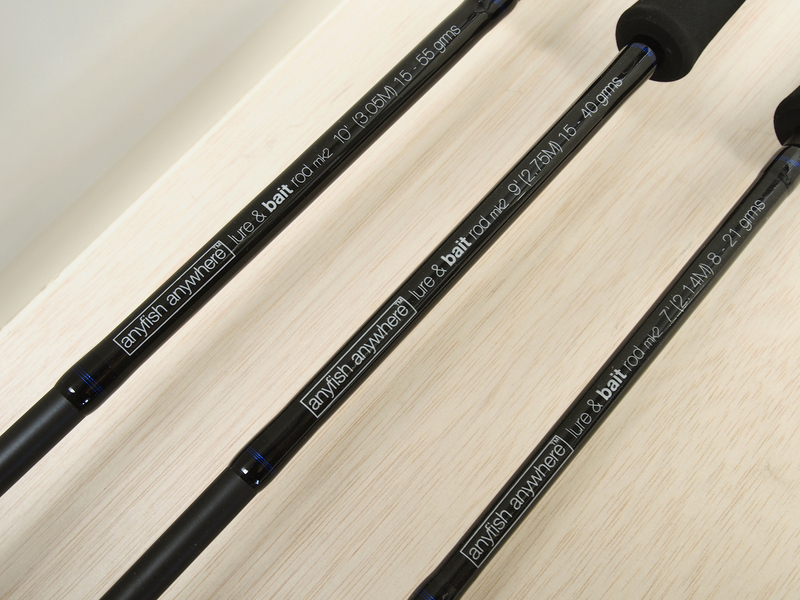 The extra flex improves casting distance and the softer tip helps when fighting the fish. I have a 3.0 metre spinning rod with a working curve of 0.80 kilograms which is my “go to” rod when targeting kingfish with hard bodied lures. Should you wish to fish soft plastics and hard bodied lures then a rod with a working curve of around 1 kilogram is a good compromise. 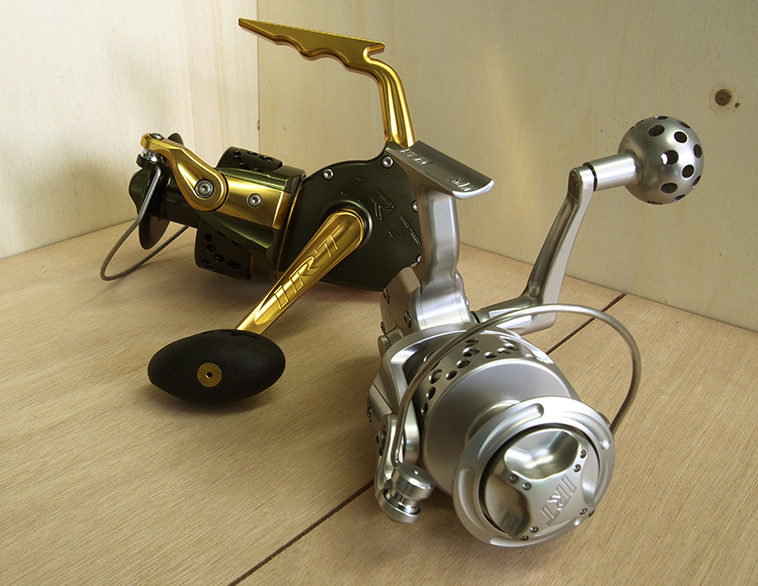 I’ve use many good quality spinning reels over the years from Abu, Daiwa, Mitchell, Okuma, Quantum and Shimano. All are reliable performers. My current reel is a Daiwa Luvias 3000. It is incredibly light, due to the Zaion composite frame, is slippery smooth when cranked and very strong. Paired with a long rod it is effortless to use and with 7 kilograms of drag it can stop most fish encountered. I look for reels that have large numbers of stainless steel bearings, especially on the critical wear points (i.e. line roller, handle and main shaft), as their smoothness makes them a joy to use. High levels of corrosion resistance are also necessary when fishing in the salt. 7 kilogram fused braid as a main line. Why such heavy braid I hear you ask? The one word answer is kingfish. I used to fish exclusively with 4 kilogram braid and landed most fish that I hooked. Until last season that is when I started to regularly hook legal kingfish in my favourite estuary. I then learned the hard way that kingfish find every weakness in your tackle and ended up increasing the line weight dramatically in order to land them. When casting I always ensure that the trace knot is outside of the rod tip. If you cast the knot from within the rod then it can snag on the guides and damage them or worse separate the ferrule in a two piece rod. When the ferrule is separated the tip follows the lure trajectory and will end up hitting the water tip first and breaking. Another problem with lighter braid is that it develops a weak spot over the course of a two hour session. This weak spot is above the trace knot where the braid folds at the rod tip during casting. The shear force involved in casting weakens the braid and as the number of casts increases so does the likelihood of failure. I’d strongly recommend that you remove 0.3 metres of braid from the end of the main line and re-tie the trace knot every 30 minutes if you are using braid with a breaking strain of less than 6 kilograms to avoid this problem. Traces with a breaking strain less than 7 kilogram will probably not survive a long battle with a kingfish. They have a tendency to run away from you and thwack their tail on the trace which leads to significant abrasion and eventually failure. Big trevally tend to do this as well so if you hate losing big fish then prepare for the worst and lift the breaking strain of the braid. 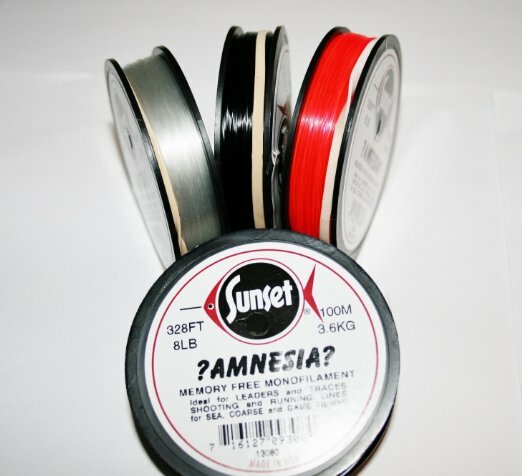 I use either clear Amnesia nylon monofilament or high quality fluorocarbon for all of my traces. Amnesia has negligible line memory, reasonable abrasion resistance and 30% stretch so it is an ideal shock trace. I attach all of my traces to the braid with a five turn Surgeon’s knot. If you want to see this knot then click on: – (http://www.animatedknots.com/surgeonsjoin/index.php?Categ=fishing). Next I’ll look at the lures I use and how I fish them. I have been promoting this for years, with little success – there is no scientific basis for using saliva to wet the knot – it is a myth – and myth that can lead to ineffectual knots. Hi Tony, Totally agree. Saliva is a nightmare especially when joining braid and nylon. I’ve changed based on reading your comments so keep up the great work, it is having an impact! Alan, great article but you must learn the FG knot as it is much stronger and thinner than the surgeons knot and you wont have to worry about knots catching your guides again.